Liverpool keeps the dream alive. I went to see The Beatles Exhibition and John Lennon’s Memorial, mingling with Japanese tourists and ageing hippies. If you go to Cavern Walks, you get the feeling you’re in a Beatles theme park. Slightly more interesting is the Hard Days Night Hotel and The Beatles Shop where I bought tshirts and a Dinky Yellow Submarine. 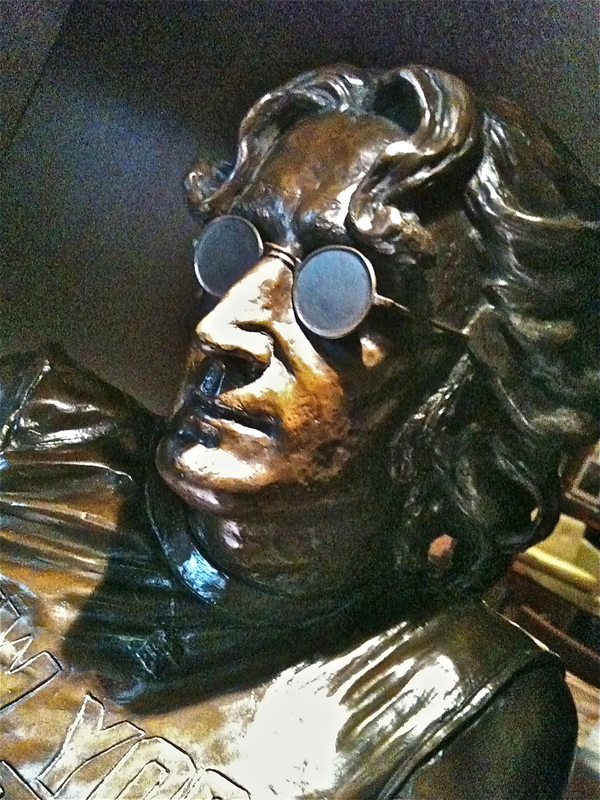 The bust of John Lennon, Hard Days Night Hotel. By the time Lennon had distilled the hippy dream with Imagine, the revolution wasn’t revolving much at all. It’s a powerful song, generating controversy through lyrics which ask us to think about a world without religion. A simple, potent suggestion which put the song on American radio’s ‘do not play’ list. ‘Above us only sky.’ There’s a stillness to that line which chilled righteous conservatives around the world, and it’s a clever man who can stop people in their tracks with a few words. 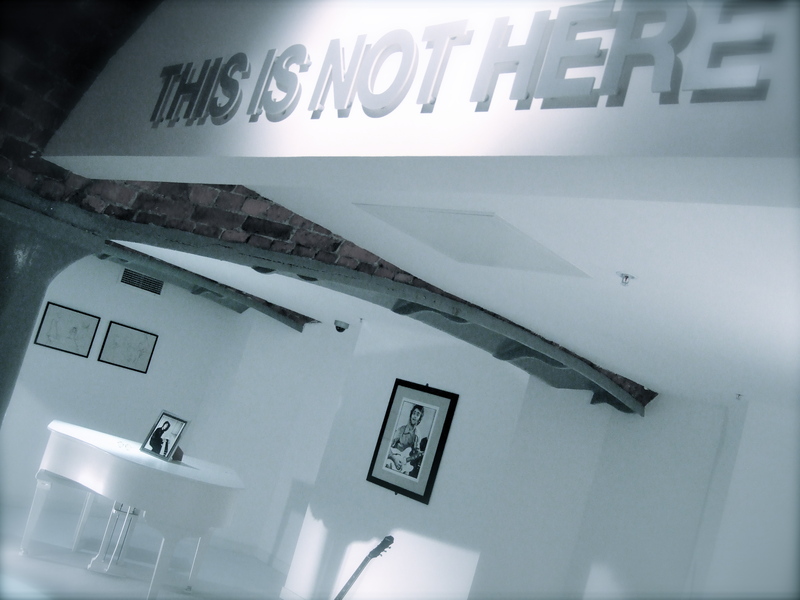 The centrepiece of the Beatles Jukebox, Hard Days Night Hotel. I wonder. What would John have made of the Facebook Revolution? There’s a song from the Imagine album springs to mind. It’s called ‘How do you sleep?’ Not sure whether you’re familiar with it. Great, great, great post! We loved the Cavern! the mic picture is very cool! Thanks Joshi, yes I’m quite proud of that one, but they don’t all turn out like that! Surprised myself, there.